Before you sign a lease, you should ask questions to avoid problems that could have been prevented. Every company operates differently, so you have to highlight what will and what will not be covered. Here are some questions that will help you to understand your lease. What Happens to My Hard Drive at the End of My Lease? The imaging industry has encountered recent reports of security breaches, so you must understand what happens to the hard drive when you return your equipment. The company could include additional costs with the removal and destruction of it before sending it back to the leasing company. 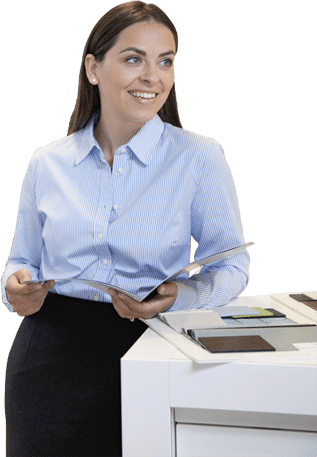 There are also ways to reformat the hard drive and erase data without costing you money – at lease with Xerox copiers. Does the Lease Include Property Tax? Property tax varies from state to state, but you need to question the copier salesman about the local rates because it can increase the monthly lease price if it has not been included. Who Will Pay for Service Copies During the Service Calls? Will the technician working on your equipment cost you extra? After a technician finishes the job, it is not unusual for several hundred impressions to have been run. Will you have to pay for the impressions? This becomes an excellent negotiation point to include in the contract. Our contracts give you 100 free color and black and white copies just in case. Do You Charge for Scans? Nowadays, most multifunction devices get used for document management and emails, and while paying for scans is not a common practice, you still want to check beforehand. Questions help business owners understand what they will have to pay for and what they will not have to pay for. In doing this, you can learn if there are hidden costs associated with the lease that were not mentioned. Questions help to reduce the chances of problems because you will be aware of them before they occur.